The talk all through the week surrounding this big air jump was about the speed issues. 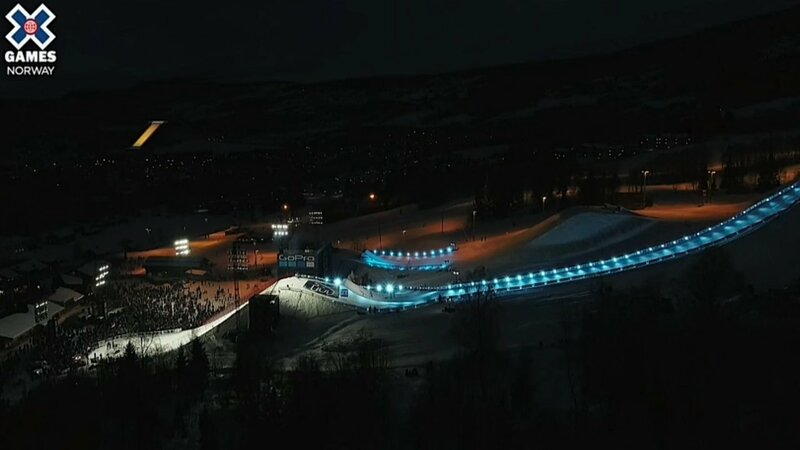 The women, who had obvious struggles with speed in the slopestyle event, were having some major issues during big air practice too but for the event it was all good thanks to the extended drop in. Well except for Kelly, who pulled out of slope and was something of a doubt for this. She needed to be pushed down the inrun, presumably by her dad, something never seen in any comp that I know of. Insane. There were also two notable absentees: the double corkers Lisa Zimmerman and Kaya Turski, but that didn't hinder a game-changing show. Mathilde Gremaud started things off with a bang courtesy of a bio 9 safety. Perfect grab too, mad styley (43 points). Giulia Tanno dropped a cork 9 tail (36) before Kelly brought the left switch 10 mute (43) to go equal first. Mathilde backed up her bio 9 with a super clean switch cork 7 mute (37) and Kelly took the switch 10 to twelve for 42 (slight sketchiness) and a solid lead. Giulia Tanno also had the switch 10 tail but it wasn't enough to podium. 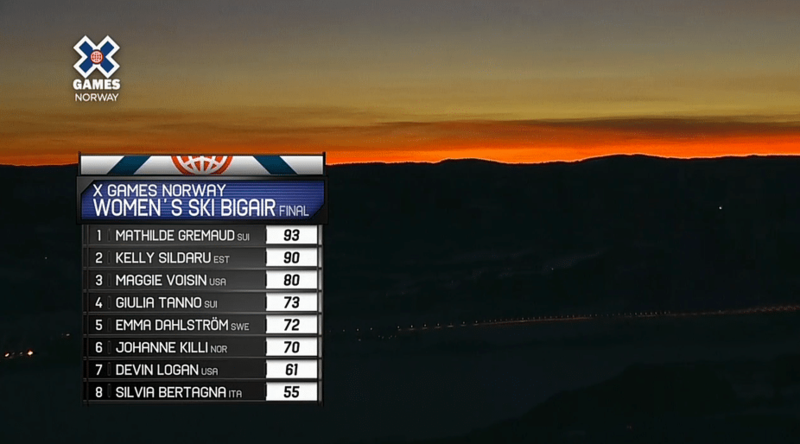 Kelly then cleaned up her switch 12 for a 47 and what seemed like an unassailable lead. But then out of nowhere, Mathilde Gremaud dropped the switch dub 10 for a perfect 50 and took the lead. By far the cleanest dub ever done in women's skiing. At the death Kelly had one last shot at the top spot. She almost took it too, putting down the first ever switch 14, but a dodgy grab and a revert in the landing killed the score so she had to settle for silver. Maggie Voisin took a solid third with a forward 9 tail and a clean rodeo 9. What an event, the game has been changed.